Love these. Keep it going. If you keep going I'll keep listening. I'm a violinist, but every time I am having a difficult time finding the motivation or focus to overcome a new musical or technical problem on my instrument, I listen to this podcast. It's very inspiring to hear such a professional and skilled musician, and I love the conversational approach. By the way, I recently started piano lessons...just so I can one day play Chopin! This podcast not only valuable to someone who is going to tackle the etudes but it also humanizes such a brilliant performer. As a former student of Dr. Swigger it is nice to know that your teacher is still learning. Often music teachers seem like they are on this far away pedestal that you will never reach. This podcast reminds students that no matter how talented or advanced you are you can still grapple with music. While in the beginning stages of being a professional musician this podcast acts like my practice buddy and continues to inspire. This is one of the best podcasts on the Internet today. Not only does it address serious musical challenges and the process of overcoming them; it also give an honest assessment of performer attitude issues and solutions that work. While my primary interest in this podcast was the focus on the pianist Jocelyn Swigger and her tackling of these most difficult Chopin etudes, I have found over the weeks that she has a special and quite unique way of surmounting technical obstacles, one by one. Such good lessons for all of us in all of our pursuits!! 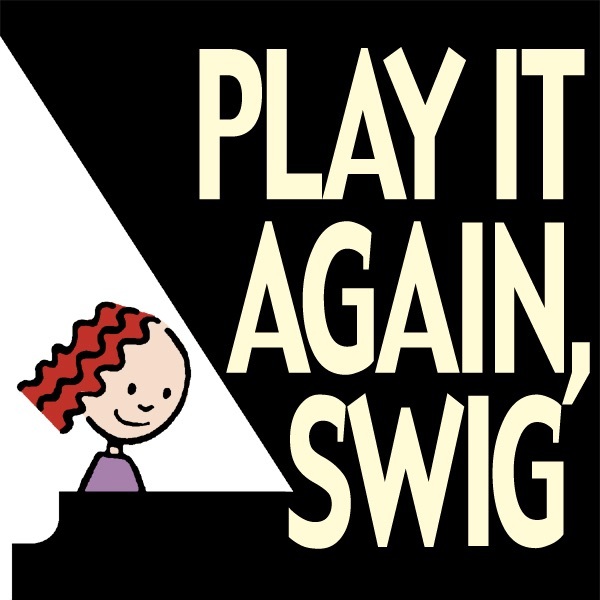 I really have enjoyed following Swigger through her process as an artist performer toward perfecting a set of music. All too often artists spend solitary hours rehearsing and don't have the ability to share the process it takes to get them to the recital. It humbles me to hear that she struggles in the same ways that all artists do and helps me think about my practice. I do hope she continues. This is a great podcast. I wish there were more resources like this out there. As a student of the piano, it's great to hear snippets of these etudes, right hand/left hand separate sections, slower and different tempos than you hear in performance. These are all things that learners hear a lot of in their own playing, but it's great to see inside what it's like to learn a piece from an accomplished pianist's and teacher's perspective. Plus, for those of you studying musical form, you can't beat the sonata form song in Podcast #61 Hodge-Podge! I enjoy listening to this podcast a lot. I play the piano as a hobby and many times I've wondered if anybody else experiences the frustrations I feel when I'm not able to play a piece the way I'd like to. This podcast shows that, in different levels, but we all experience similar joys and frustrations when practicing, playing, and performing. I hope enough people review this podcast so that it continues. It's one thing to hear beautiful music on a recording or in the concert hall. But by listening to this podcast you will get far more insight into how music works, and how musicians think and feel. This is an honest weekly diary describing one pianist's grappling with the Chopin etudes, some of the most charming, profound and difficult pieces in the literature. It is articulate, funny, truthful, and insightful, and most importantly, it rescues Chopin from the relative sterility of the formal recital hall, and turns his work into a living breathing art to be worked through and experienced. Highly recommended, whether you're looking for inspiration in your own practicing, or just want some insight into how an artist works. Jocelyn gives an honest account of what it is like to be a full time musician. Tons of hours of practice, even more hours of being distracted from practicing, life lessons, and cute baby noises are all shared every week. Her work ethic is contageous and her good humor pervades even the most challenging sections of music and life. Great for musicians and non-musicians alike.